COLDPLAY has announced that British singer-songwriter Lianne La Havas, will join them as special guest when they bring their A Head Full of Dreams Tour to Australian and New Zealand stadiums in December. Also joining the line-up is Australian indie pop hip-hop artist, Jess Kent. 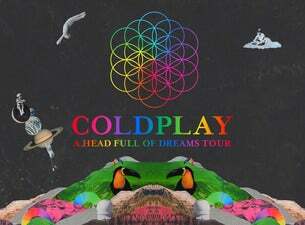 The A Head Full Of Dreams Tour has already taken the band across Latin America, Europe and the US. More than two million tickets have already been sold for the tour, which has enjoyed rave reviews wherever it’s gone (“A stadium rock band at the top of their game,” as The Guardian put it). In what will be one of the concert highlights of the year, Coldplay will wrap up their 2016 dates by performing to packed stadiums in Auckland, Brisbane and two nights in both Sydney and Melbourne. Ahead of the December shows, the production teams have reviewed the venues resulting in a limited release of additional seats across all six shows. Final tickets and VIP Packages are on sale now at: livenation.com.au. UK singer-songwriter Lianne La Havas has already toured with Coldplay through Latin America and Europe, marking the first stadium shows of her career. Playing a hybrid of alternative folk and soul, Lianne has also opened for Bon Iver on their North American tour and contributed to Prince’s 2014 album Art Official Age, as well as recording with Alt-J and Tourist. Her latest album Blood is out now through Warner Music Australia. Australian Jess Kent burst onto the scene with her catchy debut single Get Down described by triple j as “One of the most infectious tracks of 2015”, while earning Jess fans on a global scale including Coldplay and will.i.am. As the winner of triple j’s Unearthed Field Day competition, Jess is a talented star on the rise, reminiscent of early M.I.A. and Lily Allen with a reggae twist. This is Coldplay’s first world tour since their Mylo Xyloto Tour, which included Australian and NZ shows in November 2012. The A Head Full Of Dreams World Tour kicked off with a record-breaking stadium run in Latin America in March/April and saw the band perform four sold out nights at London’s Wembley Stadium in June. A Head Full Of Dreams (out now through Warner Music Australia) is Coldplay’s seventh album, featuring singles ‘Adventure Of A Lifetime’, ‘Hymn for the Weekend’, ‘Up&Up’ and ‘A Head Full Of Dreams’. Since its December 2015 release, the album has reached #1 on iTunes in more than 90 countries and sold more than four million copies. It has also helped Coldplay to maintain their position as the band with most worldwide listeners on Spotify throughout 2016.